I love this Lucite Heart Toggle Necklace from ZeeBerry! 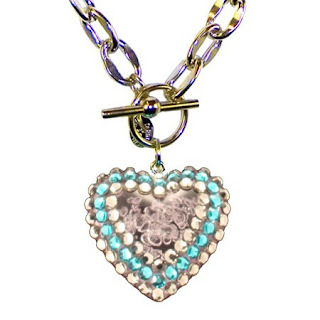 Its Lucite heart charm is embellished with Swarovski crystals, measuring about 18" in length. The Giveaway Diva is giving away a ZeeBerry Gift Certificate worth $52 to one of her lucky readers! So join in now! This giveaway is open internationally and ends on February 27th!